We occasionally receive a request to build a bespoke or "custom" keyboard. In the picture is one of those custom keyboards that we called the "KW", so named from the initials of the customer who requested it. As you can see, it is a "squashed" version of our two-hand fully ergonomic keyboard with a front extension for a mouse pad. This follows on from the development of our previous bespoke keyboard (code-named "TJ"), but this "KW" has four more keys and a proprietary miniature programmable PCB called the Teensy. The "Teensy" USB controller is just that - small (just 18mm x 50mm) with a mini USB controller and a small reset button. Despite its size, the Teensy can be programmed with virtually any keyboard layout. See here for more details of some of the supported letter layouts. Our customer (who is from Germany) was in a hurry to receive his programmable keyboard so opted for the Teensy PCB solution rather than wait a little while for our own programmable designs. For more information on bespoke designs, shapes, key types and functions, please contact Martin O'Donovan here at Maltron. We now offer the opportunity for you to purchase components from ourselves so you can build your own Maltron keyboard. 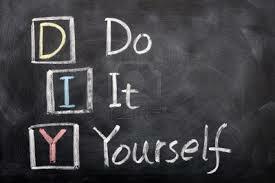 Follow the link under 'Do It Yourself' for the list of components you can purchase. It is completely up to you which items you source from us, just let us know and we will make arrangements to supply to you as soon as we can. (All items subject to availability). ​The Teensy is a complete USB-based microcontroller development system, in a very small footprint, capable of implementing many types of projects. All programming is done via the USB port. No special programmer is needed, only a standard "Mini-B" USB cable and a PC or Macintosh with a USB port. ﻿﻿Build your own Bespoke Maltron keyboard. Email your request using the form enclosed. ﻿There is a variety of Cherry switch to choose from. From the specification enclosed let us know what one you are interested in.